See you at the Torah Welcoming Celebration! This Sunday, October 29, 2017 at 3 pm! The event is free and open to the entire community. It is not too late to partner in the dedication by sponsoring a letter, verse, Aliya, Parsha and so on. A certificate with your dedication will be provided. 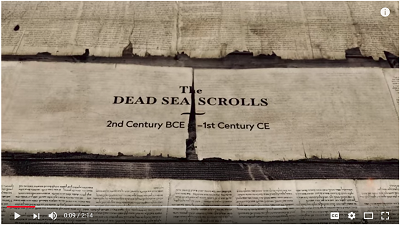 Suicide at Masada - When national independence might mean a fighting to the bitter end - what's the right thing to do? Militant Nationalism vs National Religion. The Maimonidean Controversy - Could you believe that Maimonides' epic works of Jewish teaching were once publicly burned? We'll explore Faith vs Reason. Renewal of The Sanhedrin - After the expulsion of Jews from Spain, some thought it was time to force the hand of Jewish destiny. Active Messianism vs Passive Messianism. Chasidism - The spiritual renaissance led by the Chasidic movement was not easily accepted at first. One of the great debates was about Divine Transcendence vs Divine Immanence. Separation of Church and State - When public Menorahs first came about it sparked a great debate in the Jewish community. Religion in Public vs Religion as a Private Affair. Thursday night: Simchat Torah & Sushi! Join us for a lively, one-of-a-kind, Simchat Torah celebration! The grand finale to the High Holiday season are the joyous holidays of Shemini Atzeret and Simchat Torah! Featuring 'Hakafot' dancing with the Torah and a delicious buffet! Friday Morning: Conclusion & Start of Torah! Grand conclusion of Torah and starting anew from of the book of Breishit - Genesis! 11:00 am - Kiddush Refreshments, Concluding the Torah and Starting from the Beginning! (Dinner Under the Stars at 8 pm - at rabbi's home, advance RSVP required). If you cannot make it for the entire service, your are still welcome to stop by during that time to fulfill the special Mitzvah of Lulav and Etrog. L'chaim, Cake & Shake in the Sukkah! Don't have your own Lulav and Etrog set, or your own Sukkah? Don't fret. Mi Sukkah, es su Sukkah! 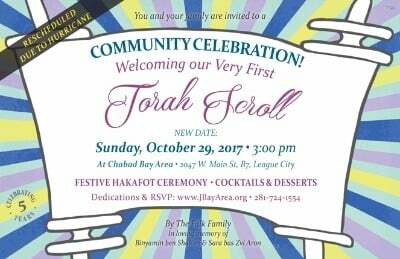 You are invited to come on over during this holiday of Sukkot, to shake the Lulav & Etrog, and sit down with the rabbi at his home for some cake & l'chaim in the Sukkah! Thursday, Oct 5, between 4 and 6 pm. Sunday, Oct 8, between 10 am and 12 pm. Hope to see you! Happy Sukkot! Start your year with Kabbalah! What better way to kick off the new year than to enrich your mind with some fascinating and inspiring Torah study! Come join us this Shabbat morning at 9:00 am for Coffee & Kabbalah! Sunday: Tefillin & Breakfast in the SUKKAH! Join us this Sunday morning for special edition of WrapStars featuring Tefillin wrap and light breakfast at the rabbi's Sukkah. For men 13 and older. Beginners welcome! You don't have to have your own Tefillin to participate. Also, from 10 am to 12 pm the Sukkah will be open to everyone for "L'chaim, Shake and Cake" for anyone who wants to fulfill the Mitzvah of Lulav and Etrog as well as the Mitzvah of eating in the Sukkah. This event is completely free, with free rides, entertainment and kosher food!